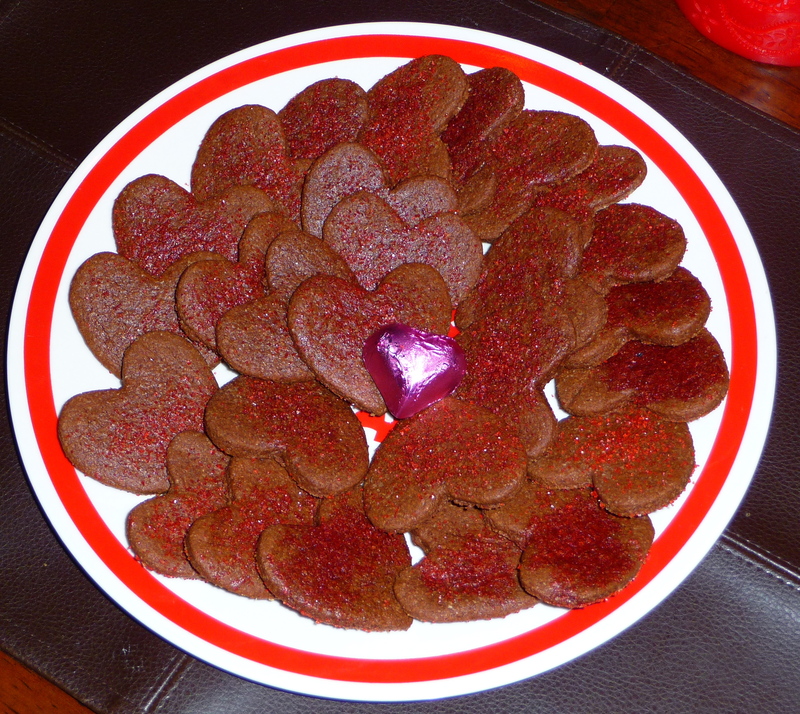 My VDay dinner ended with these lovely little morsels, Whole Wheat Chocolate Brown Sugar Cookies. I LOVE that they are whole wheat instead of white refined flour. Makes me feel all warm and fuzzy. Honestly, you should make these all the time, for every occasion, using every shape on the planet. They’re that good. And easy. And worth it. Did I mention they’re whole wheat? Check out the recipe at its original source. These would be so fun as shamrocks with green sugar crystals for St. Patrick’s Day next month, or eggs with yellow and pink crystals for Easter. I could go on. But I won’t. You get the picture. Try them. Love them. Thank Joy the Baker. How did your Valentine’s Day end up?